If your computer is running badly, things are slow, features no longer work correctly or are missing and you’re ready to throw up your hands in disgust – or run out and buy a new computer, a “fix” might be easier than you think. 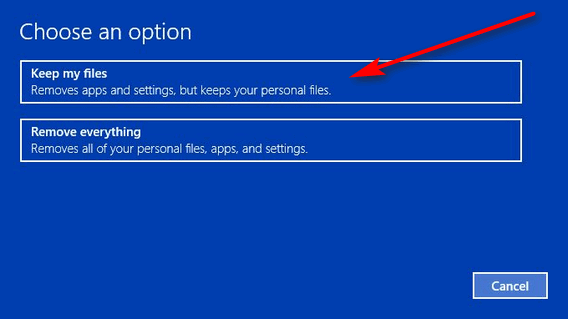 Windows 10 has an option to save your personal files (pictures, documents, music, videos, favorites, etc) remove Windows, reinstall Windows, then replace your personal files and folders. When the reset it done, you’ll need to reinstall any programs you installed. Remember! Don’t do this unless your computer is running poorly, apps and features aren’t working right and your computer is almost unusable. 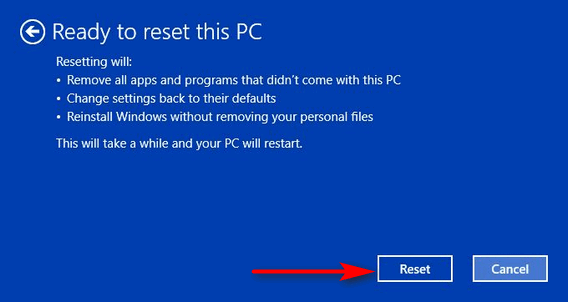 Here’s how to do a Windows 10 reset and keep your personal files. Right-click the start button, click on Settings. 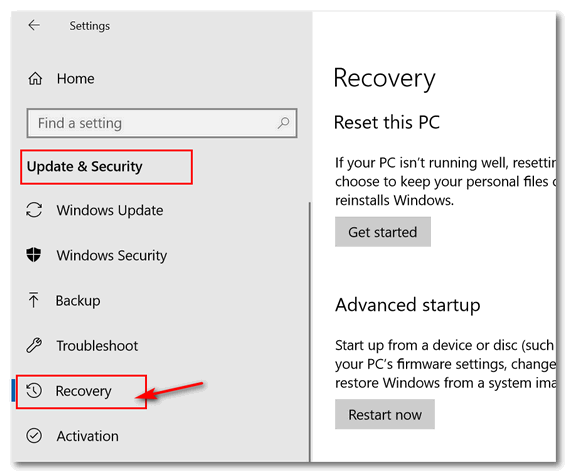 In Settings, click on Update & Security, then click on Recovery in the menu on the left. Under “Reset this PC” click the button labeled “Get started”. Next step, and it’s an important one, click on “Keep my files”. This option changes all settings back to their defaults and keeps your personal files, data, personalization settings and apps from the Windows Store. Files in the user’s profile are preserved (except for the AppData folder). Also any folders created by the user in the root of the system drive (usually C:\ ) as well as on other drives and partitions. 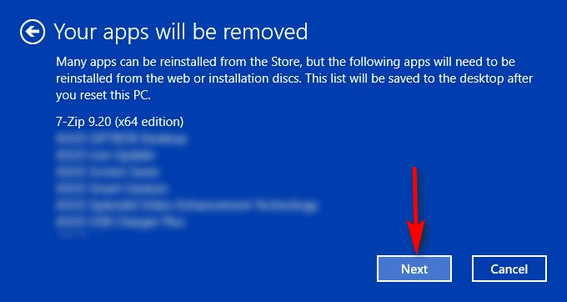 User-installed programs and user installed apps from the Windows Store, on the system drive and other drives are removed and a list of programs and apps that were removed and will have to be reinstalled. This will be saved in a text file on your desktop on completion of the reset. The next dialog shows you a list of programs that will be removed. You can scroll though the list if you want to. To continue with the reset, click “Next”. One more step. If you’re absolutely sure you want to continue, click the “Reset” button. Once you do that there is no turning back. 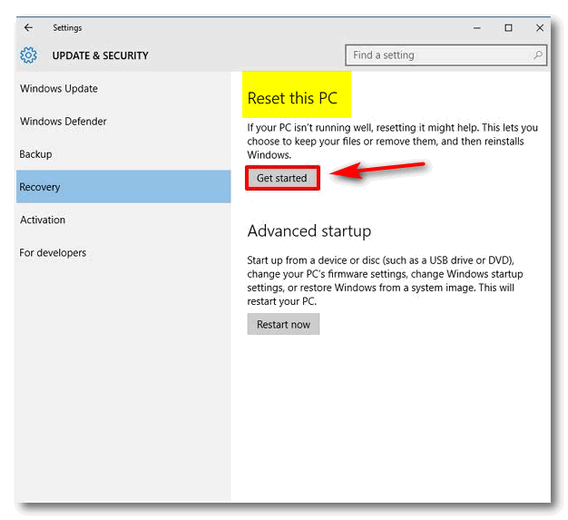 After a reboot, the saved settings, data files, and apps are applied to your new Windows installation. So doing a reset is essentially the same as reinstalling Windows while keeping all of your personalization settings and personal files. The complete Reset process usually takes 45 to 60 minutes. It may take longer in some cases. We can fix most Windows problems without resorting to a Windows 10 Reset. We can also help you do a reset. We’ve helped thousands of folks with our Cloudeight Direct Computer Care Service. We can fix your computer while you watch – in the comfort of your own home. Get more info here. Wow! the next time this old thing is going at crawl speed, I’ll sure give this a try! As always, thanks again for another tip—MERRY CHRISTMAS & may 2019 be filled with countless blessings for you both! Can we do this and not lose our Thunderbird files and emails? You can do it but you’ll lose your Thunderbird emails. They will still be in AppData but it takes some doing to get them back in Thunderbird. If you’re concerned about losing emails, always set your email program up using IMAP protocol and not POP3. That way you will never lose your email even if your computers hard drive goes belly up. You can put in a new drive or buy a new computer and install Thunderbird, set up your email again and all your mail is there waiting for you.